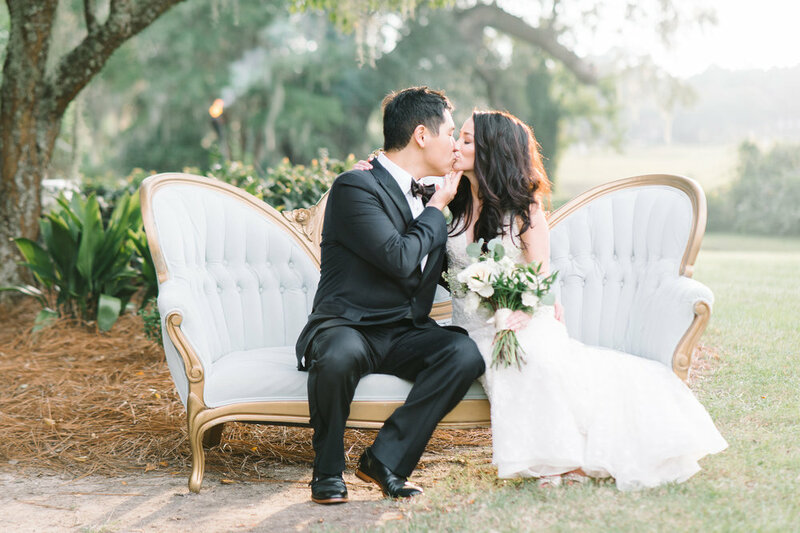 Calla was in love with picturesque Boone Hall Plantation because of its long southern driveway lined with swooping oak trees. 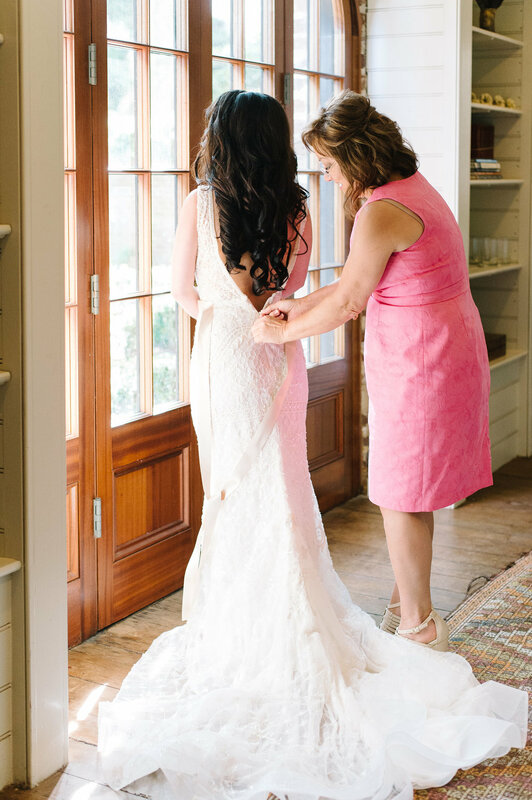 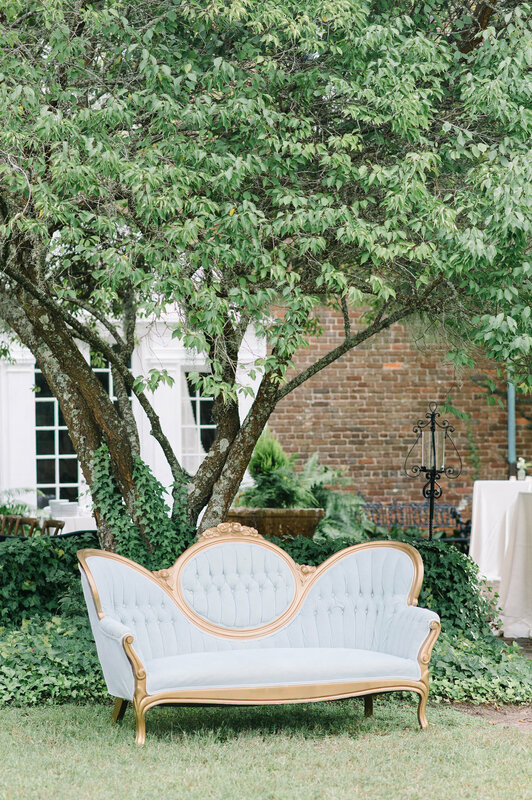 She invited her closest family and friends to Charleston for their ceremony followed by an intimate dinner on the back patio. 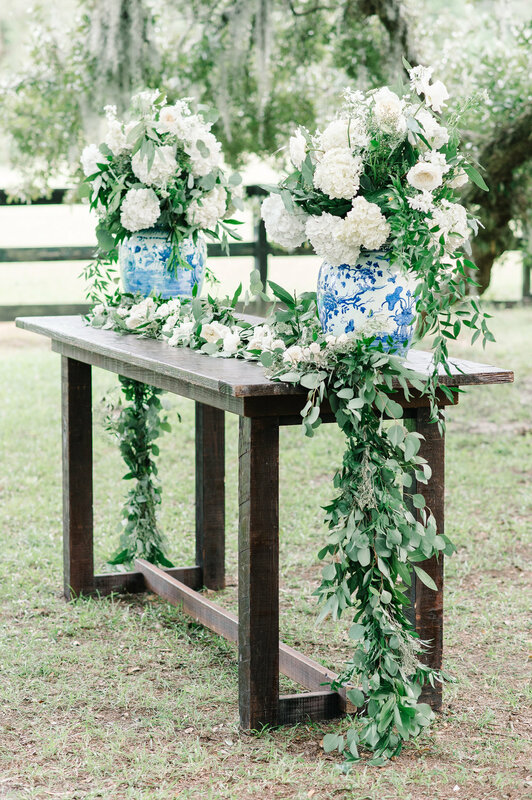 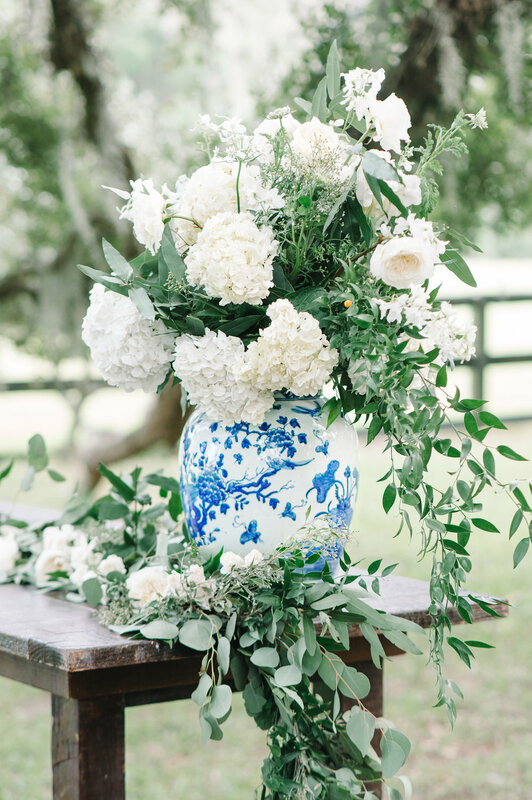 Their family heirloom blue and white porcelain china was our inspiration for the design, accented with green and white florals by Petaloso. 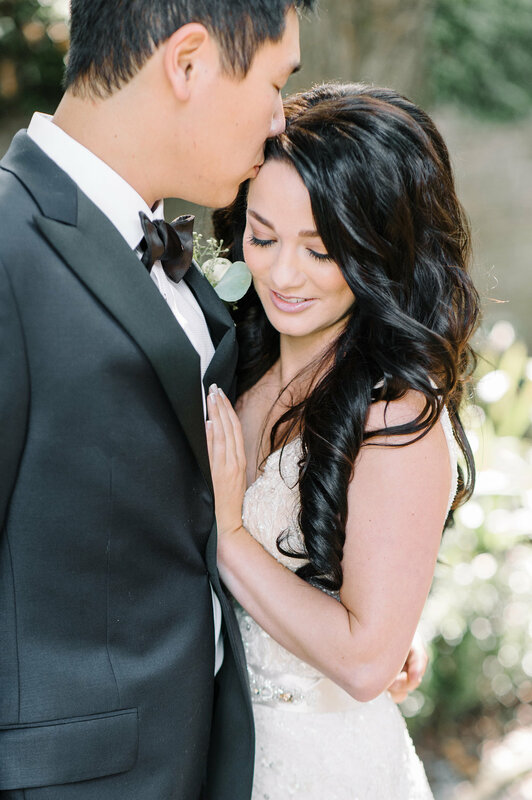 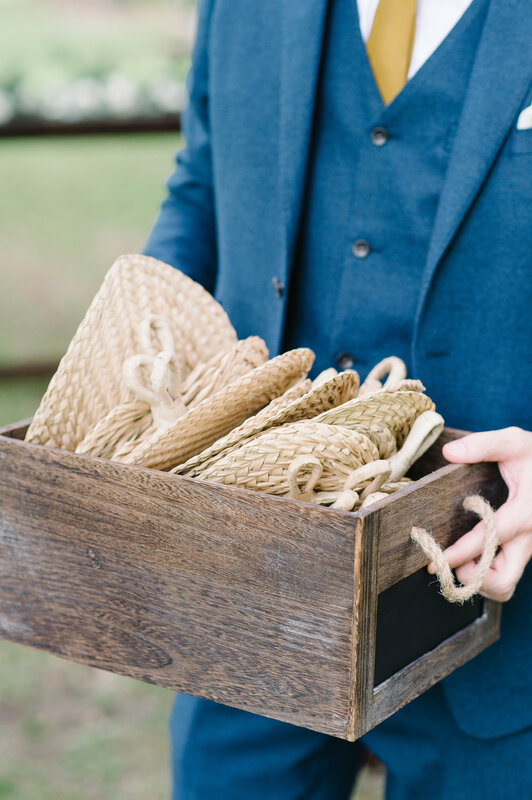 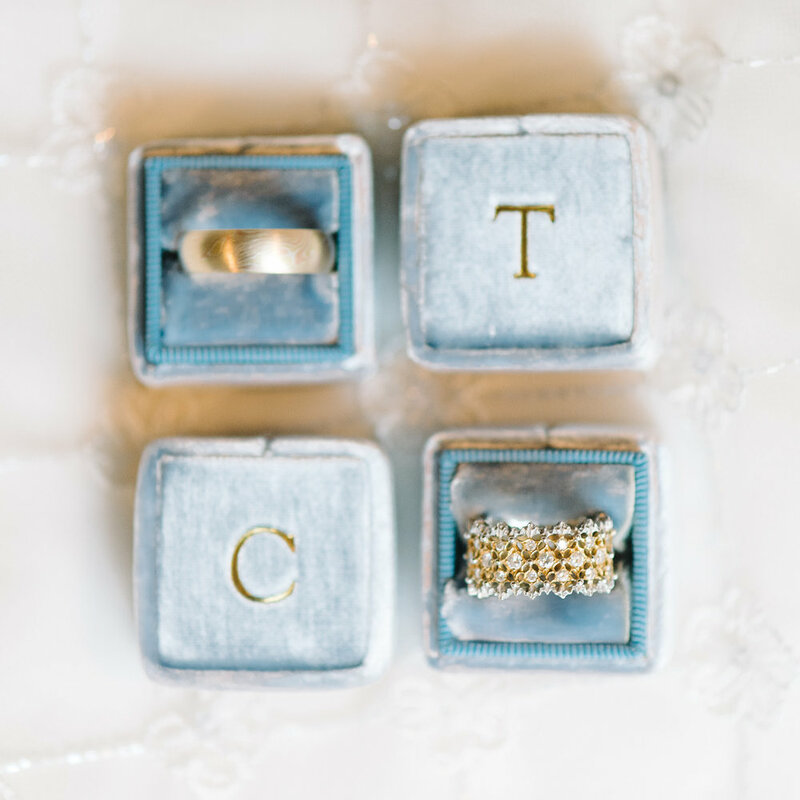 Take peek into this gorgeous intimate wedding styled for the bride and groom and captured by the amazing Aaron and Jillian Photography!